Report RSS	Skyward Collapse Player/Press Reaction and 1.005 "Player's Choice" Released! The latest post-launch Skyward Collapse update is out. It mainly reverts two very unpopular recent changes. We also wanted to pass along all the awesome press and player reaction that has come in since the game's launch last week. Skyward Collapse 1.005 "Player's Choice" Released! This one reverts two very unpopular recent changes. We've made some cool shifts post-1.0 on the game, but these two were not viewed to be among them. Players complained, loudly, and so after listening to the reasoning we've decided to revert the changes. Not the first time this has happened in an Arcen title, and not likely to be the last; sometimes we try something new, and it just doesn't work. The key thing is we listen to you when you tell us about that. Now: these changes were both intended to solve some edge-case "cheese" tactics that some players were using to basically break the game rules and win trivially. These edge cases are frustrating for me in particular, because it makes the game feel broken. "Somebody found a way around the game, to play the game without playing the game! Augh! Must. Fix. Now." The problem with that is obviously when it impacts regular players in a negative way. The ones playing the game, having loads of fun, and not wanting the mechanics to change and screw them up. "Fixing" the cheese tactics that someone who is (clearly clever) but also clearly not all that into the game is... well, it's not the best choice. Sorry for panicking and doing that to you, folks. Bad move on my part. I suppose the issue comes back to a fear that if a loose thread is found, then the whole tapestry will unravel. If one person discovers a cheese tactic, what happens to the core players who love the game? The fear is that they realize that tactic is there, start using it, and all the fun is sucked out of the game. Soon it's a graveyard and a broken game because of a lack of developer attention. I don't think that's an unreasonable fear, but there are definitely some sayings about babies and bathwater that are appropriate about now. Anyway, I would still obviously like to solve the cheese tactics, as those irk me to no end and I feel like it does undermine the game to some extent. However, it's certainly good to use the carrot rather than the stick when possible, and that is not something that these two changes allowed for. They were elegantly simple changes in a lot of ways, which is why I went with them... but also unfun, so there goes that. It's been a crazy few days since Skyward Collapse launched late last week. The game has received a few new updates, the Steam community already has a guide up, and players (QuartertoThree,Octopus Overlords, Bay 12 Forums), video channel owners and press (Kotaku, PC Gamer, Cult of Mac) seem to be buzzing about it -- for heaven's sake, half of Co-Optimus is playing it! "I honestly tried to find even one element that could be seen as a flaw on Skyward Collapse. The problem is – it was nearly impossible, as everything the developers did here, they did great, giving us an astonishingly complex game which plays differently every time. The only weak spot would be the time required to actually understand what you are doing. Not everyone will have the patience, but then again, they shouldn’t have picked a strategy game if they don’t. Apart from that, Skyward Collapse is flawless and could be easily recommended to every gamer seeking some innovative, slow-paced, complex gameplay which will take ages to become boring!" 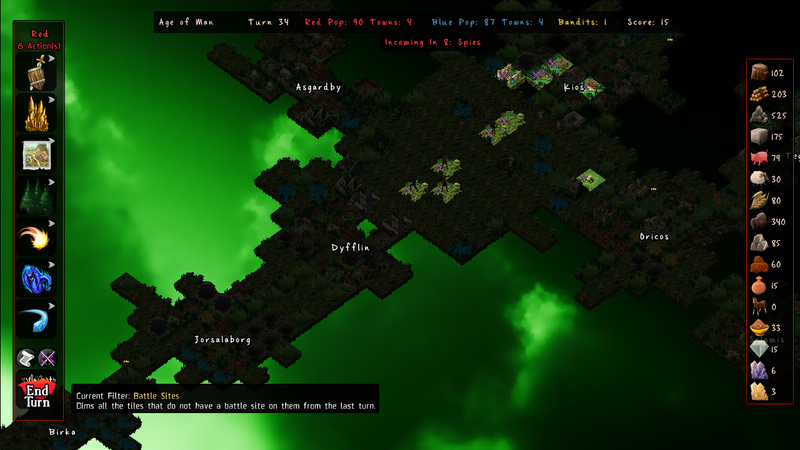 "Overall, I found ”Skyward Collapse” to be an intensely in-depth strategy game. It looks simple on the surface, but there a ton of things going on behind the scenes that will keep analysts busy for hours. Luckily, the easier difficulties allow those who don’t want to dive into all of the number crunching a chance to experience the game in a casual manner." 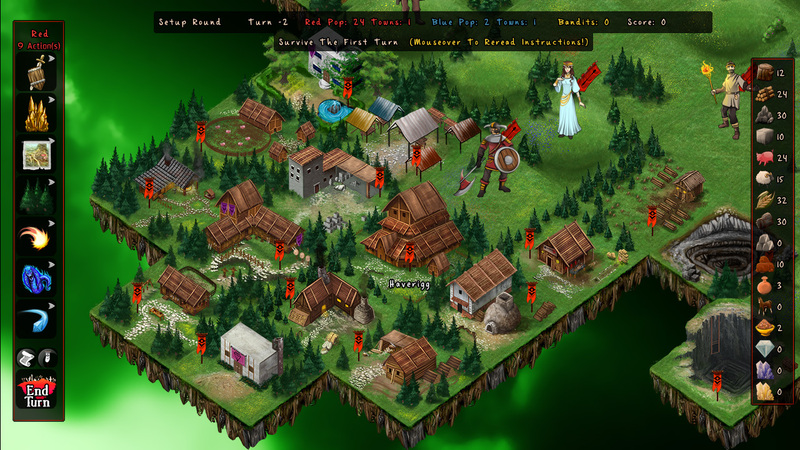 "I have begun to associate Arcen Games with their unique take on strategy games, but I have started to play their games more and more due to the wonderful soundtracks. A Valley Without Wind 2 has a great soundtrack, and Shattered Haven’s music did a great job setting the atmosphere of the game. Skyward Collapse’s music has a nice mix of both, great atmosphere with a nice variety of musical styles. The music alone is a reason to pay attention to Skyward Collapse." "Normally the strategy genre was all about balance: making sure every unit has the proper counter, no strategy being completely dominate and so on. With Skyward you have powers that can kill everyone on the map except for Gods instantly, bestow invulnerability and more. Just try to imagine fitting that into a game of Starcraft." It's still in the early going, but sales have been very solid. While I don't have anything official to announce at the moment, the team is very confident Skyward Collapse will receive significant post-launch support moving forward. I sign off with some interviews and the rest of Skyward's coverage. Until next time!